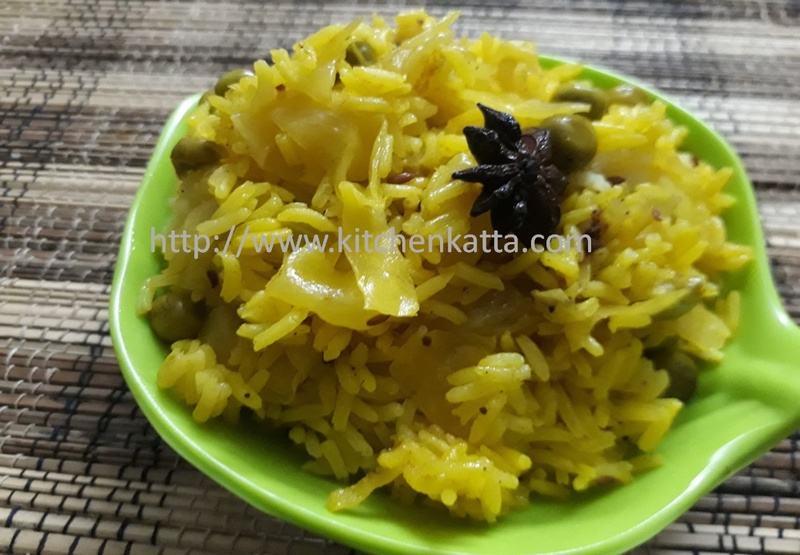 Simple and tasty pulav with cabbage and green peas, this one is perfect one pot meal when you are too tried to cook full meal. 4. Few of khada garam masala, I used 1 phool chakri, 2 cardamon and 1 cinnamon stick. You can vary these as per what you have at hand. Serve hot pulav with any raita of choice or just enjoy with ghee! The cabbage looks crisp. Somehow I refrain from cooking cabbage with rice in cooker for the fear of cabbage turning soggy. I like to prepare a toran instead. Thanks Shaivi for stopping by..same doubt I also had about cabbage getting soggy, but believe me, this way it did not and the pulav tasted satisfying!